Way back in high school, I used to voraciously devour all kinds of manga and anime. They were easy to get into, original, beautiful and addictive to the say the least. I steered away from them over the past years thinking that I wasn’t going to miss out on anything big and that I had probably seen the best of the best already. Almost a decade later I have decided to dive back into this universe and have been recently enjoying some really amazing stuff. I’ve come to realize that I was far from having seen it all. There’s so much to check out! Good thing it’s never too late to rekindle your love for past things, right? In the same vein as my Top 10 Young Adult Books I Should Read, I wanted to share with everyone 10 manga (that are probably also anime), that I can’t wait to dive into. Did you know the movie is 30 years old this year? I’m a bit ashamed that I haven’t already dived into this one already. I’ll definitely be fixing this one pretty soon. With Blade Runner vibes, how exactly can you go wrong with this one? I’m much more intrigued in the anime since it came out first and all the manga are spin-offs, but they still sound like a lot of fun! Anything related to superheroes will probably pique my curiosity instantly, but this series has me drooling from all the praise it has received! I’ve mentioned in the past that I was secretly a gamer. There’s no surprise that I’m interested in this one when you’ve got a whole video game plot surrounding it! It’s one of the most popular series I’ve seen around lately too! I recently finished watching and reading (I’m up to date) with One-Punch Man. It is easily one of the best thing to have ever been released. 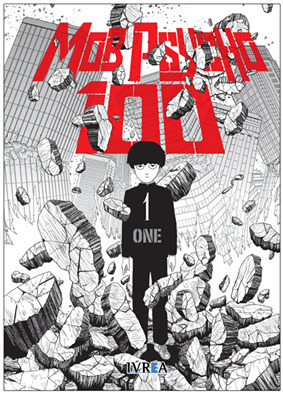 And then to find out the writer of One-Punch Man is also behind Mob Psycho 100? Count me in. I’ll probably share some of my favourite manga in the future, but I would love to hear what your thoughts are on these! Oh yes, I do remember that beautiful collection you got your hands on. Clearly it was an indicator of your love for it. You never attempted to watch the movie though? That’s a bit shocking. Although something tells me you don’t have a huge interest in animations (based on an indirect comment you once said about the animated DC movie of Under the Red Hood). Any particular reason for having only seen half of the first season of AoT? Or just a question of time? And not something to do with the show? I did watch the movie Akira. It was my first intro to the franchise and it didn’t give a very good impression. The movie is a mess of a storyline. 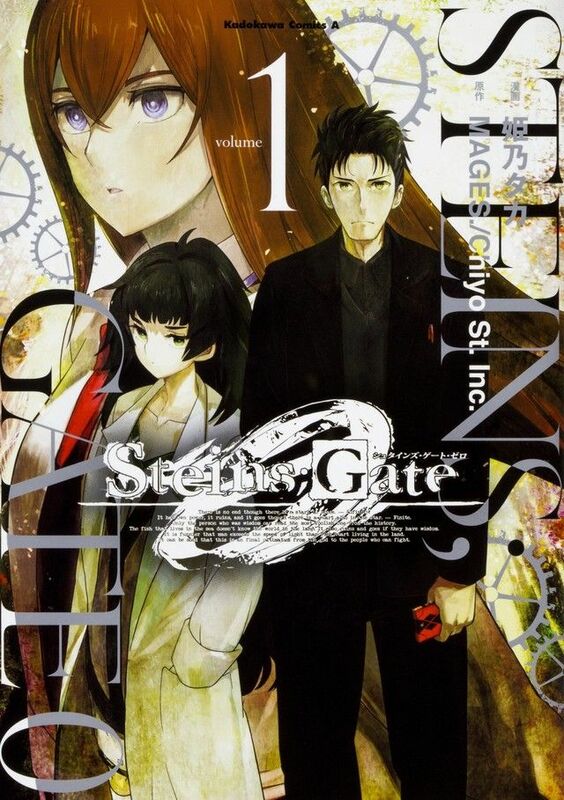 It was produced well before the manga was finished too, so the plot points diverge widely. Now that I’ve read, and loved, the manga, I might appreciate the movie more. But that first impression still turns me away. I’ve been an anime fan since roughly 2000 and have several hundred dvd’s of various series. So attack on titan was just more of the same. In all honesty, my perspective on anime changed once I got married. I slowly stopped needing it and am glad to let another generation enjoy it. That, and my tv watching has dropped so much. I had a feeling you’d love this post and would 100% vouch for these manga/anime. 😁 I’m definitely far behind though and will probably not catch up to all of these in a very long time, especially since I’m reading these sporadically. I haven’t heard of I am a Hero but I’ll definitely look into it. As for Monster, I might have mentioned already that I had seen it back in the day, but I definitely hope to check it out again with my more “mature” mindset! 😂 Thanks for sharing, my man! Happy reading to you too! Yep, you mentioned that (I just love the manga so much, I keep promoting it any chance I get 😂😂). I haven’t read any manga, don’t shoot me! But you’re tempting me, Lashaan. I did just get a novel for review based on Attack on Titan and I’m really curious about it. I hope you get to read all these! Hahaha no worries! I already know how busy you are with novels already anyways! You really should give comic books/graphic novels/manga a shot someday. At least one per month! Just to see how you fair with them. Ouuuuuh, what’s the novel called? Definitely piqued my curiosity there! I agree with your list since a lot of people recommended me the same mangas! 😊 Psycho-pass is the one I’m the most excited to read ! 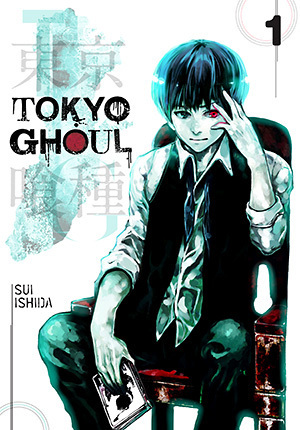 I’ve started Tokyo Ghoul but was kind of disturbed with the fact that all the delicious food tastes bad when you’re a ghoul (yeah that’s a weird thing 😂) so I stopped but I intend to give it another try! 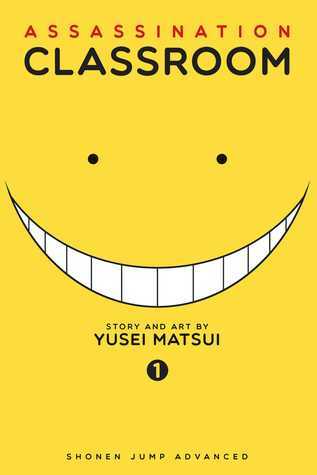 Assassination Classroom is pretty funny but I think I haven’t finished it yet… And I had the highest expectations about sword art online (the plot sounded incredible) but I think I watched a short version of the anime so it was kind of weird, I should give it a second try as well! I watched SOA on Netflix but didn’t understand why it was so weird. Maybe it was a spin-off! Nanatsu no Taizai is one of my absolutely favourites! I highly recommend it! Akira is legendary. One of my top-ten. Absolutely fantastic. So much praise! I’ve yet to see someone hate on it though. I’ll definitely make it a priority! Man , the way these people can draw is always jawdroppingly awsome. I believe the first anome I ever saw way back when was Giant Robo. I was hooked. Sadly manga in South Africa was never big untill marvel came out and any tipe of comic was being sold at a very high price. Is there a reason why you almost believe you’ll never read any? I do recall you enjoyed some of the YA novel graphic novel adaptations though! They surely couldn’t have made you not want to pick up a manga or comic book in your life! Yeah, I mean maybe one day because like you said I have enjoyed some graphic novels, but at the moment it’s just not a genre that interests me. What! They’re quite easy to get into and usually very fast-paced too! Only thing is that you have to read left to right (unless you have some kind of special Americanized version of it). 😂 Glad to offer you a place to start then! I’m sure at least one of these will be to your taste! Tried out ‘Sword Art Online’ as well as ‘Attack on Titan’ but it was both not for me. I’m a huge fan of the origin DBZ! But like most manga/anime, I dropped that series. Dragon Ball Super is actually high on my priority list too, although it’s still a lot of catching up hahahah What didn’t work for you with SAO and AoT? 😱 If the anime of AoT didnt work for you, I definitely recommend NOT checking out the manga. 😂 Glad to add a new one to your list though! 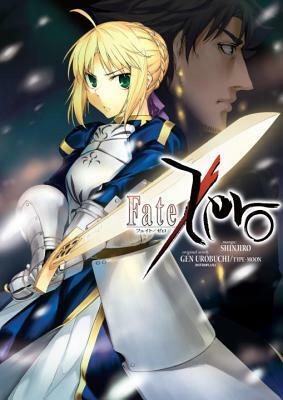 I’ve heard great things about the whole Fate/Zero world! 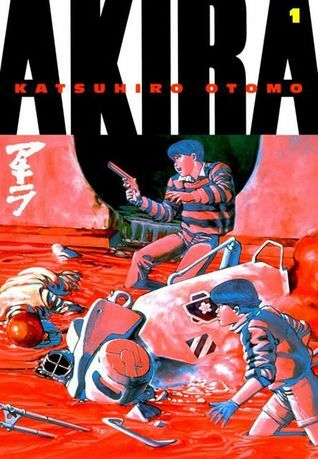 I’m making my way through Akira and loving it so far. Sweet! Really glad to hear that. I definitely need to fix that problem ASAP. Got to find out about Akira’s greatness for myself! I’m ashamed to say I haven’t read any of these mangas (I’M SORRY) but I did start watching SAO and Steins;Gate. I just have to finish them, and for some reason have forgotten to do it. There’s just not enough hours in the day T_T But thanks for this awesome list, Lashaan, I’ll be sure to check the other ones as well ^^ Glad to see you’ve come back to manga after ten years! I assumed so, considering it’s one of those animes on everyone and their mom’s lists! It’s definitely a slow start but I’m hoping to get hooked pretty soon 🙂 Will heed your advice and keep pushing forward! Oh nooo! What didn’t work for you in the anime? 😱 It seemed so pretty and fun from what I can remember. 😂 Hope there’s some substance to it! Don’t worry about it! Love me some rants. Helps me gauge much better what I’d be getting myself into too! Now that romance stuff sounds a bit off putting though. Thanks for the heads up! Well, it has colours 😀 But yea, i was quite impressed with it. We did a marathon on New Years Eve. I have read very little manga, but I still working on Naruto. I have decided I won’t start another one until I actually finish that series or it will never happen, I just finished volume 12 today actually. Just another 60 togo haha. I read Naruto back in the day and watched the anime (both the original run and shipuuden) but stopped at some point in the series. I got friends telling me how great it is towards the end and how awesome Boruto is nowadays. I’m contemplating the idea of rereading the series now. 😂 Good luck with your own personal challenge! Your list had some I never heard of! 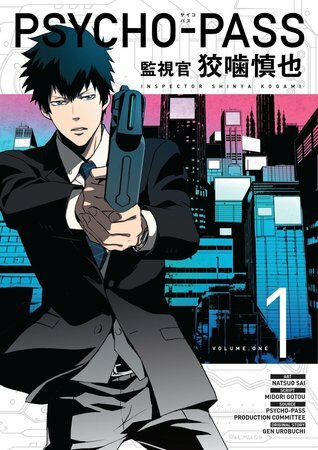 Watched Mob Psych 100, the Japanese anime, season 1. It was filled with Japanese humor, sometimes dorky, but it was a lot of fun. 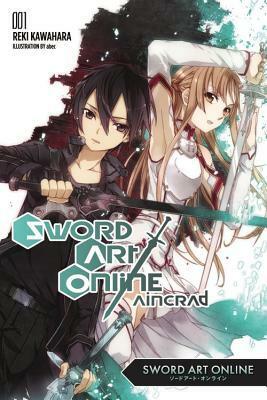 Also watched Sword Art online anime, season 1&2. Fate/Zero looks intriguing. 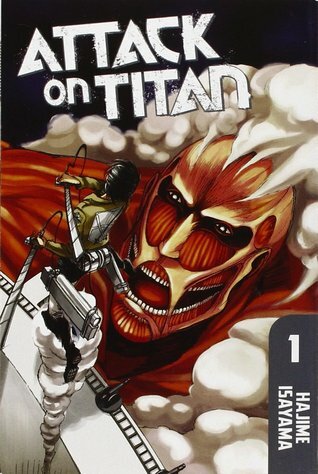 Always wanted to read Attack on Titan. Waiting for the next Tokyo Ghoul:re to come out. ♥️ So glad you decided to get back reading manga. Sometimes I find I like the anime better. Either way I love the art and stories. So many amazing choices, I don’t even know what to say!! I have enjoyed most of these (Sword Art fell off a bit after a while in my opinion… I hope Raistlin doesn’t follow you, he’ll kill me and cry for saying that…) I haven’t got into MHA, but 90% of my staff at work SWEARS by it, so I’ll have to get to it eventually! The rest are SO GOOD!! 😁 I hope you enjoy them! 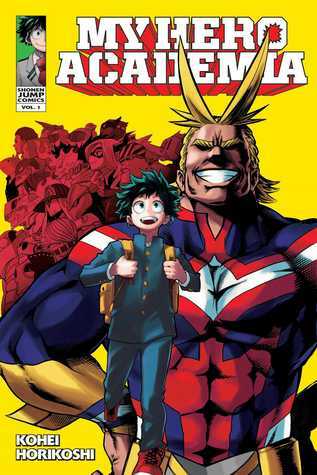 You’re definitely gonna love My Hero Academia. The series is a blast and has done a good job of fleshing out so many characters. The series does hit a bit of a slump with its latest arc, but it’ll likely be bouncing back any week now and in volume format it should really help make the pacing on point. I’m definitely excited to check it out! It just sounds soooo good! This is just one more set of interesting reads that will take a while for me to even look into, although as I had previously mentioned, I was going to attempt to come up with an anime character and story line. This was when I so badly wanted to do animation. i didn’t finished the season 3 of My Hero Academia. hope i will finish it soon.